Dimensions W 31-7/8" x D 26-1/4" x H 63-3/8"
Two half size ovens. 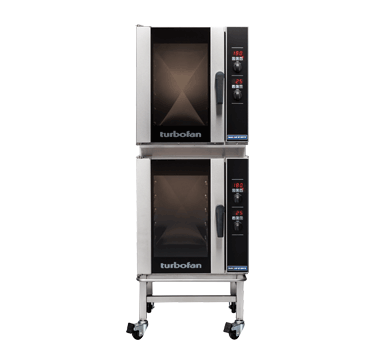 This improved utility convection oven takes four half size sheet pans with 80mm / 3.2″ spacing. The E31D4 is an incredibly versatile oven that can grill, bake, roast and hold. 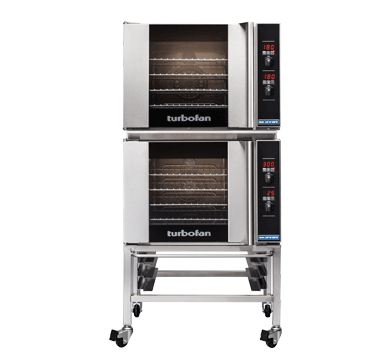 It’s ideal as a primary oven in smaller establishments or as a feature oven in higher output environments. Kitchen life is certainly easier with this new oven. Easy to use electronic controls with high visibility digital display are standard. 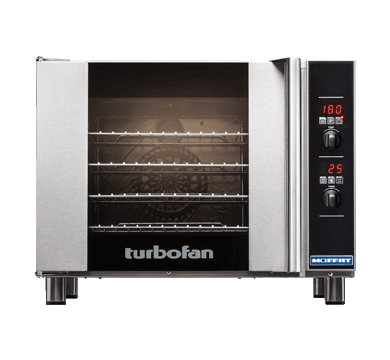 An electronic thermostat guarantees reliable heating every time and vitreous enameled oven liners make clean up a breeze. The safe-touch vented side hinged door is also field reversible for left or right hand hinging.